specifically, i use avidemux version 2.5.4. the process is likely to work in other 2.5 and earlier versions, though i haven't tested them. it definitely does not work in the current version, 2.6. also, during the workshop, some mac users reported that they couldn't get avidemux to install. for os x lion/mtn lion, check these instructions for installing avidemux. i initially discovered ghost frames thanks to another glitchy behavior in avidemux. my desktop computer runs windows 7 and has a video capture card for recording tv signals off a coax connection. the default tv capture program in windows 7 is called windows media center, which records programs in a format called WTV. WTV is proprietary (closed) format, but it's close enough to MPEG that when i try to open a WTV file in avidemux 2.5.4, it asks me "This looks like an MPEG. Do you want to index it?" of course, it's one thing to see a ghost, and something else altogether to capture a ghost. ghost frames disappear just as suddenly as they appear. skip so much as one frame too far and those ghostly glitches you've been cultivating could vanish. you can't just hold down the left arrow key and storm through the place: you have to inch along. you have to creep. fun glitches! 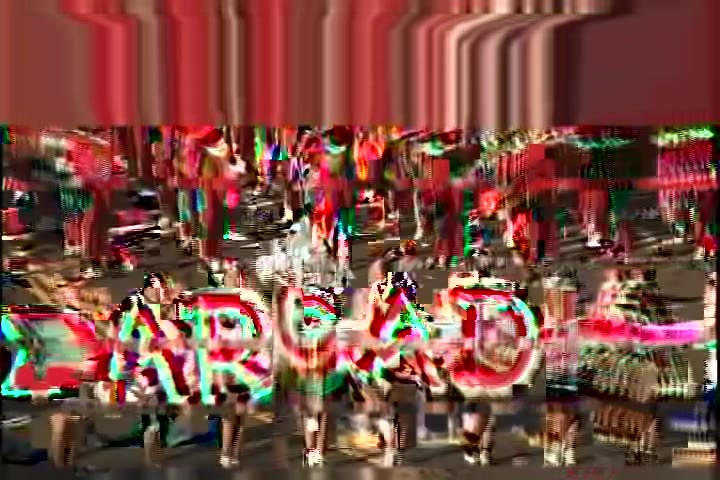 but because i found these files in the wild and they seem to be normal working video files, i don't know what about them makes them glitch like this. more about that below. crack the mystery of what makes the ellinude videos glitch. is it something in the encoding settings? something in the camera that shot them? something in the actual frame content? a combination, or other factors? the obvious goal is to reproduce these effects on files of our own choosing. my analysis suggests these files were encoded using ffmpeg, but i haven't quite been able to reverse-engineer the encoding settings. (and don't know if it would do much good even if i could.) some metadata from some of the video files is available here (thanks to antonio roberts for his help compiling this metadata). if we can summon ghost frames from transcoded WTV files and from ellinude's MP4s, then they could likely be found in other types of mangled/miscoded video. damaged/databent files, deliberately poor encoding, hacked codecs, etc are possible avenues for source video. this process has a lot of similarities with datamoshing. the two processes could likely be combined to interesting effect. version/system sensitivity testing—will this process work in other versions of avidemux, and if so which ones? will the same file produce the same ghost frames using different versions of avidemux or different operating systems? i've been working only with images. i'm just starting on this work. i use "ghost frames" but as images. i like to reduce the reproduction speed to watch the "ghost frames" appear. then i capture the image and the results are pretty awesome. video or gif files look great too. Forget about all the things bothering you, it ain’t indeed as significant as your real cheerfulness – it is what really matters! Man i have something interesting, i was converting a pdf book downloaded from the internet archive to .bmp using a cracked version of debenu and i got some freakish glitch i've never seen. I tried to figure i out but... dont know nothing about codes and stuff.